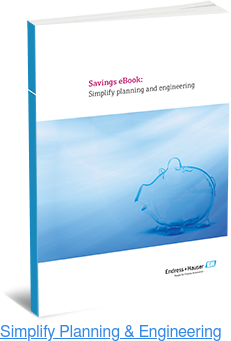 At Endress+Hauser, we are proud to provide customers with a wide range of tools and equipment capable of enhancing a variety of applications and projects. The products within our catalog serve a diverse range of industries, including food and beverage, pharmaceutical, chemical, waste water, and pulp and paper. Our durable instruments meet the needs of both solid and liquid applications, and our measuring and manufacturing principles ensure consistent, high quality results. Our Liquiphant FTL31 is a general purpose, point level switch manufactured for use with liquids in tanks, pipes, and vessels. Because of to its vibronic operation, the Liquiphant FTL31 provides a secure and reliable method of point level detection. Ideal for dry-running and overfill protection, the FTL3 model’s low-carbon stainless steel design offers high durability throughout continuous operation. Additionally, the FTL31 provides reliable operation in conditions in which turbulence, conductivity, air bubbles, flow conditions, or residual buildup may interfere with other switch offerings. The Liquiphant FTL31 is even proven to operate efficiently in cases when capacitance or float switches have been previously used. Equally efficient but entirely distinct from the FTL31 is the Liquiphant FTL33, a point level switch designed for hygienic applications employing liquids, such as those within the food and beverage industries. It is commonly used with vessels, pipes, and mixing tanks. Carefully designed to ensure that only its 316L stainless steel components come into contact with an operation’s liquids, the FTL33 adheres to the strict hygienic demands of the food and beverage industry. With heightened durability and corrosion resistance, the FTL33 complies with stringent regulations and monitoring for the use of particular plastics in hygiene-sensitive industries. The FTL33 has also been awarded 3-A and EHEDG certificates, denoting the level switch’s stringent compliance with strict food safety hygiene regulations. The Liquiphant provides a variety of switch functionalities that operate reliably under even the harshest conditions. Featuring plug-and-play functionality and self-monitoring capabilities, the FTL33 does not require adjustments or ongoing calibrations. It functions at temperatures up to 305 degrees Fahrenheit; this ensures that the level switch can be used in demanding processes and high-temperature SIP and CIP cleaning operations. 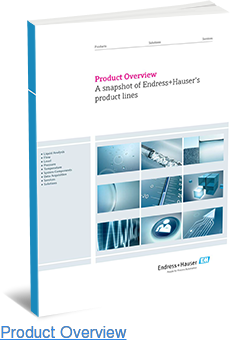 At Endress+Hauser, we’re proud to provide consumers with a wide range of high quality, industry-compliant products. Our catalog offers a diverse range of instruments capable of serving a variety of applications and industries. 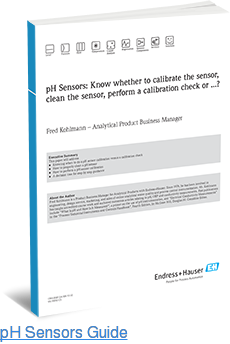 For more information regarding our products and their distinct functionalities, take a look at our measurement guide, found here.